It’s a very ironic twist of history that the decade which witnessed the Great Depression and the accumulation of foreboding storm clouds in Europe also saw some of the most magnificent cars of all time arrive on the arena. Flowing wings, great vertical grilles, style and status led the way, with numerous luxury marques clashing for supremacy. 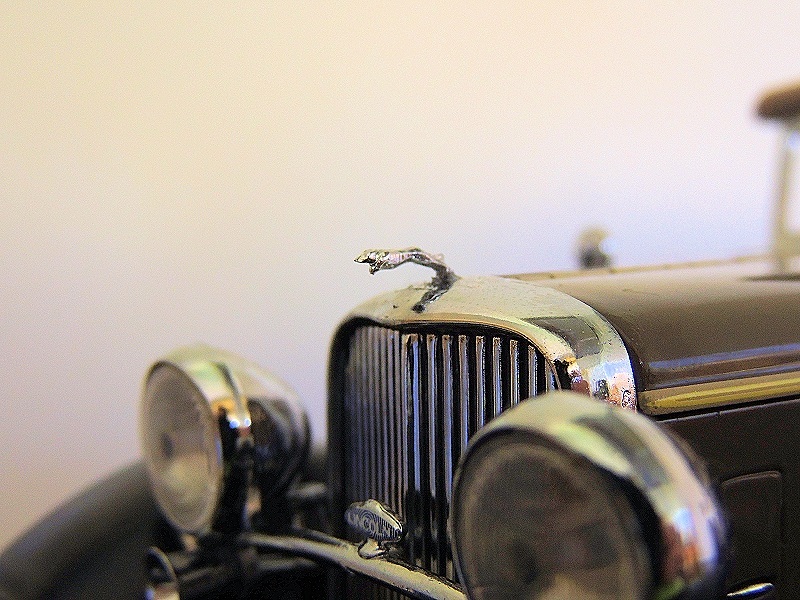 It was indisputable that Rolls-Royce was the cream of the crop in England, but across the pond, in the US, the greatest luxury marque was a matter of opinion. 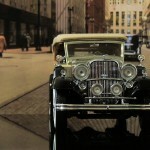 Some said Packard, others said Duesenberg, and yet others said it was Cadillac or Lincoln. At any rate, all of the above continually fought for the title, with yet bigger engines, greater luxury, and increased magnificence being the weapons. 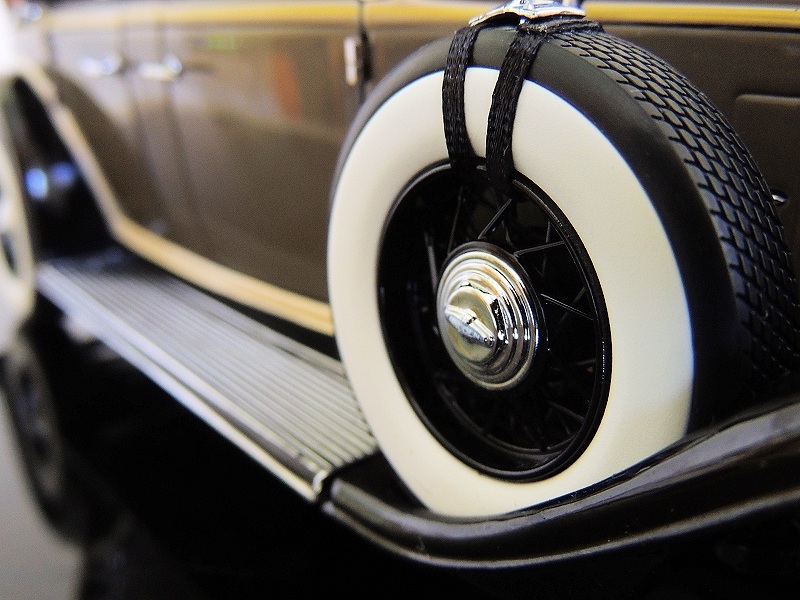 So in 1933, the flourishing Ford Motor Company answered the taunts of its rivals with the impressive Lincoln KB, which combined a mighty V12 engine with a coach-built exterior and a luxurious interior – the perfect solace for the Chicago gangster or the depressed businessman. 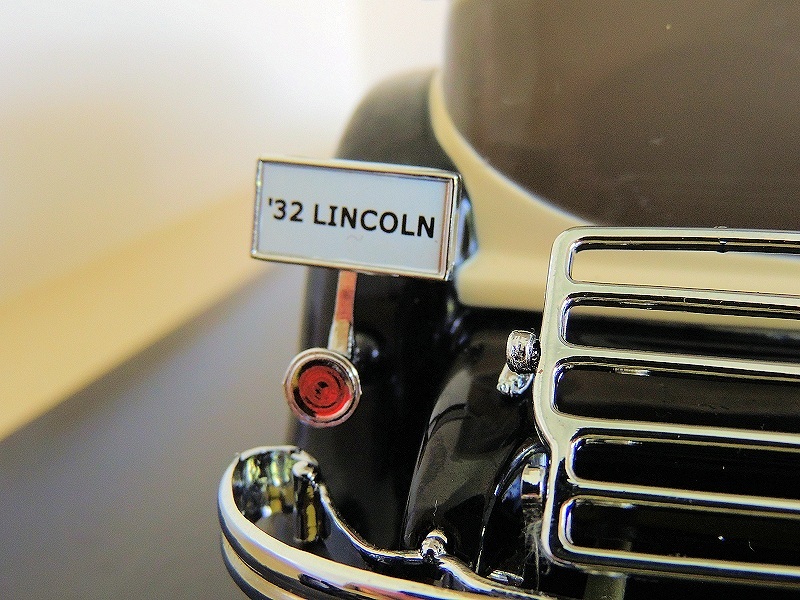 At any rate, a model of one of these fine Lincolns may not be the most compact model to ever grace your cabinet, but they certainly look wonderful and to place one in your lounge room is sure to bring favourable comments about the décor, if not from your wife. And if you regularly peruse this wonderful website, you would have seen, about a year ago, the announcement that Sun Star was going to produce a ‘1932 Ford Lincoln KB’ in two poses and two colours. 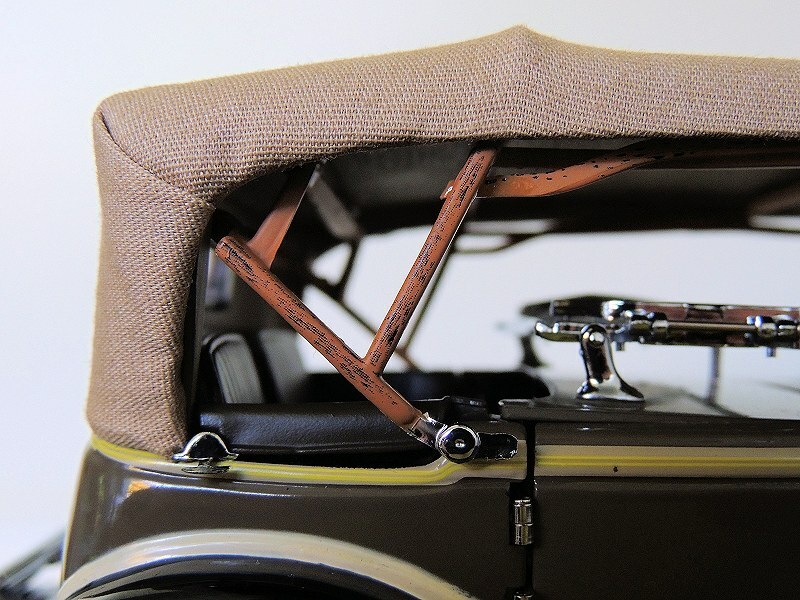 The model they’re making is a Dual Cowl Phaeton, so the two poses are Top Up (roof up) in Chicle Drab or Top Down (roof down) in Kewanee Green. Since then two other colours have been announced, a blue and a red. 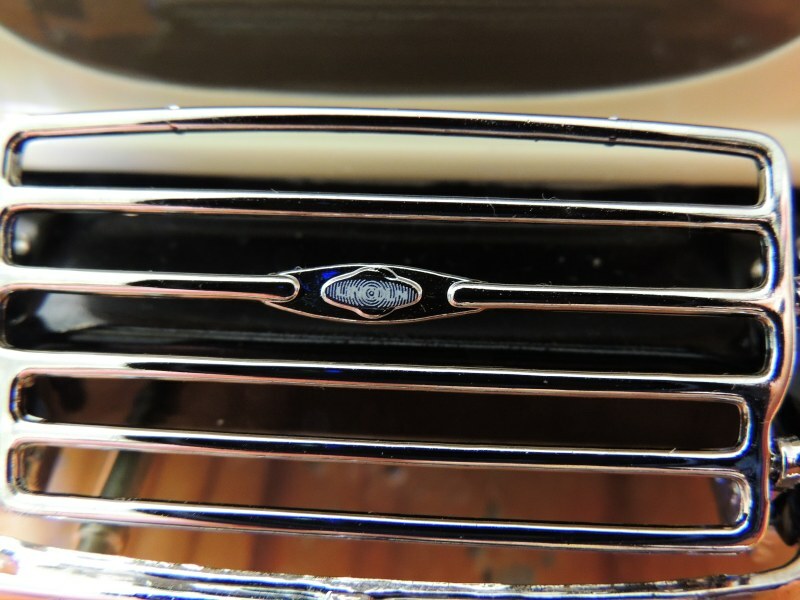 The Diecast Society post predicted “Based on the recent review of the Lincoln Continental, Sun Star could have a real winner.” So I hoped. I ordered one, and after numerous delays, finally received it several months down the track. First of all, it’s not cheap, at $190.00AUD ($188.00CND, or 136.00USD). It is a member of Sun Star’s Platinum Collection, which theoretically means it has a better box, greater levels of detail, and a ‘Platinum’ plaque, but in actual fact means it has a slightly better box, a most intriguing piece of ‘Platinum’ embossed metal, and a stepped-up price tag. No, I’m being pedantic. 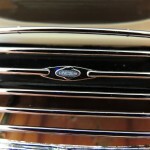 The level of detail and refinement is noticeably better than the standard range, as far as the Lincoln KB is concerned. Opening the huge box will reveal the equally huge model, partly encased in Styrofoam and partly encased in plastic. There’s a little plastic bag which has a ‘Platinum plaque’ in it, with an interesting silver string attached to it, the use of the string being something for philosophers to ponder over, as it’s rather useless. But still. It’s a nice thought, I suppose. Removing the Lincoln KB reveals another interesting fact. The model is fairly dripping with oil. It makes it a little unpleasant to handle, as it comes off on your hands. And it wasn’t just that a can of olive oil was spilt over it on route, as another Sun Star model I recently bought – a 1939 Horch 855 – was coated with it too. Maybe it’s to protect, but really? The exterior is excellent. 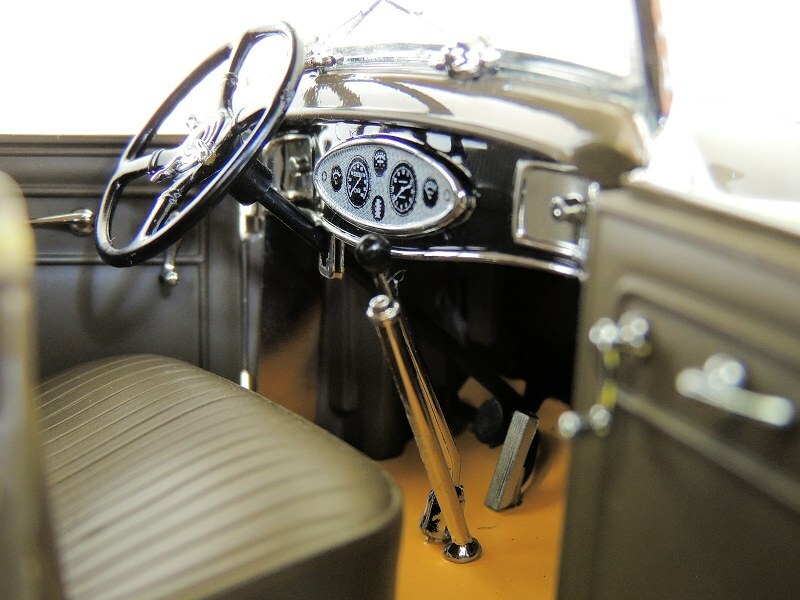 The level of detail and refinement expresses itself beautifully in the delicate door and bonnet handles and hinges, realistic canvas roof, logos, grilles, lights, and everything in between. The tyres have the correct tread pattern, and the mirrors on the side spares are nicely attached with a realistic ribbon, while the front lights mirror the pattern of the real deal. 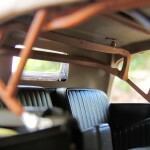 The windscreen wipers too are very fine and detailed, and are not just moulded onto the windscreen. It’s realistic, it’s refined, and it’s very detailed indeed. Opening the doors is a disappointment, however. 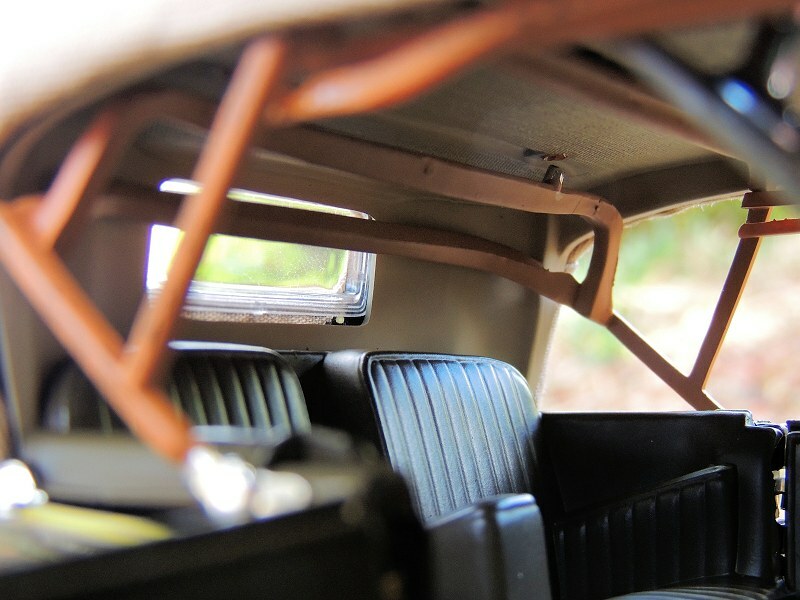 The interior is nothing short of shoddy. Yes, the instrumentation cluster is nicely rendered, and the seats look and feel realistic, but that’s about all. There is a glue mark on one of the front doors, another one doesn’t open properly, the folding cowl and bench looks and feels utterly cheap, and the piece of plastic underneath it looks like “Wood” by a kindergarten student. To make matters worse, Sun Star decided at the last minute to produce the KB without the brown carpet of the photos, which is both disappointing and outrageous. Come on, this is a $190 model! We don’t want a poorly-fitted piece of yellow plastic for a floor – we want carpet! 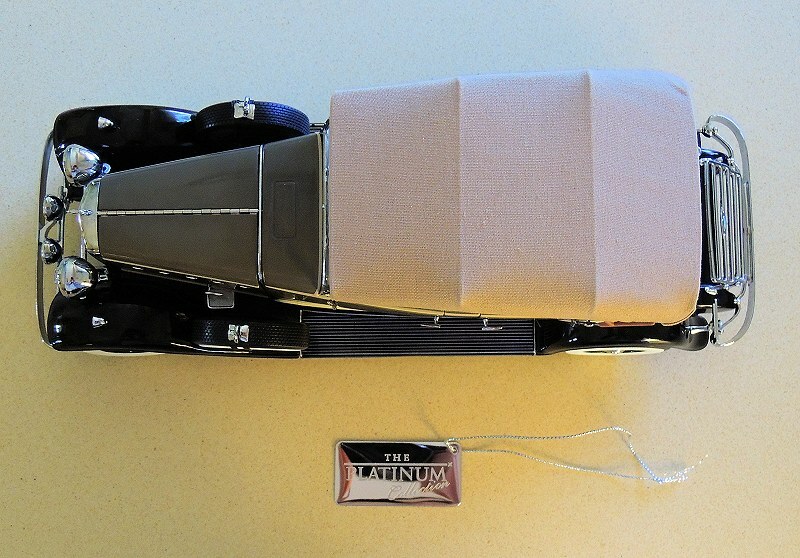 You can buy an AUTOart Millennium for $150, with full carpeting. Whatever were you thinking, Sun Star? This is a real let-down, as the interior is not worth the money. 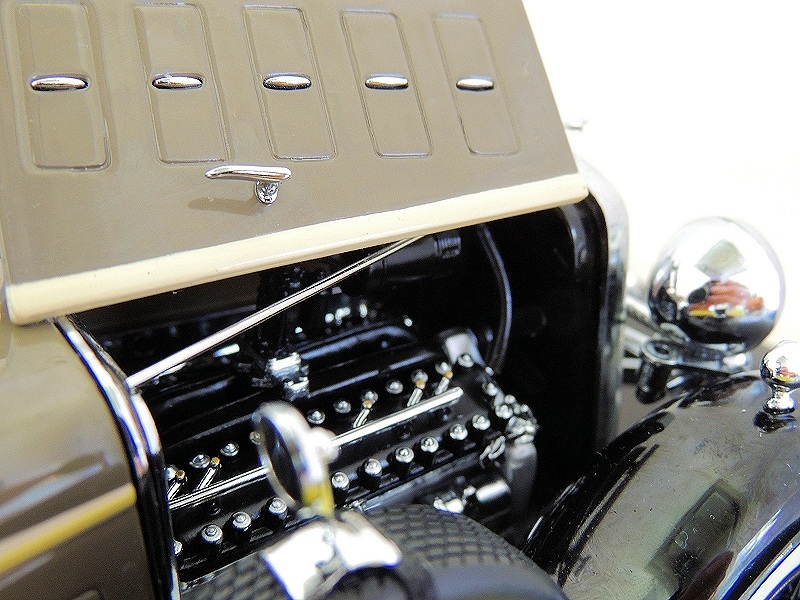 Thankfully the V12 engine makes up for it, delivering a superb level of detail almost equal to AUTOart standards. 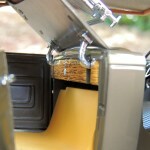 There are little silver rivets, fine components, and an overall air of attention to detail. Bravo, for the effort, bravo. The underside, likewise, delivers well. 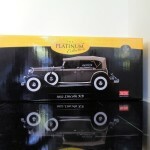 Rather than being plastic, it is solid metal and complexly detailed. So much so, in fact, that my final verdict on this luxury Lincoln is mixed. The interior is not good enough for a $190.00 model, but…the fact remains that the exterior and everything else is finished so beautifully that overall, it looks most premium and impressive. There’s no way anyone could mistake it for a toy, that’s for sure. There’s just too many intricate pieces and too many nicely finished touches to prevent me from recommending it to any collector. A flawed hero, if you will. 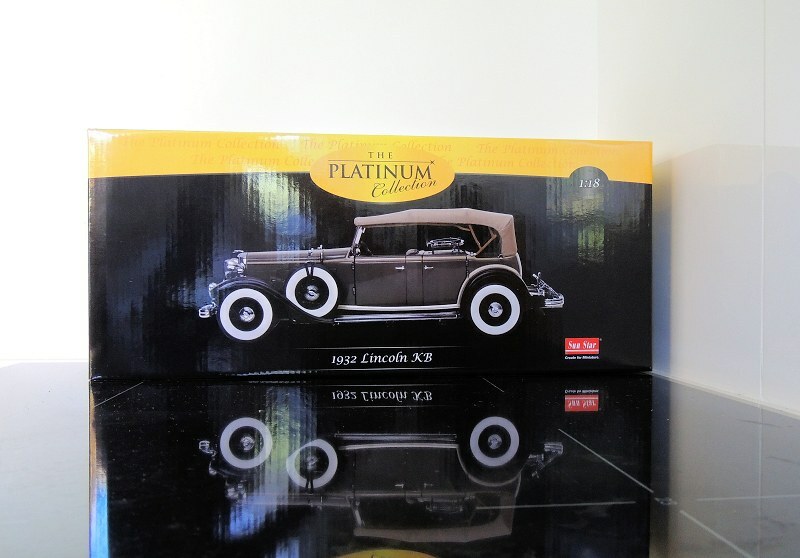 12 Responses to "REVIEW: Sun Star 1932 Lincoln KB"
Well, I think, everybody who is into this hobby for quite some time knew, that this is just rebadged old Motor City Classic mould. Only 2 times more expensive than MCC at that time. Definitely not new product and far away from standars of Sunstars ´in house´ made Platinnum pieces. Just another try to dig more money from us as is so common these days. Anybody else surprised ? That’s a shame. This one was on my wish list as well. However, after seeing the interior…..I’ll pass. I can’t believe Sunstar passed on carpeting. On my shelf is the old Motor City Classics version of this model, mine is in blue, and it is otherwise apparently identical to the reviewed sample. Sunstar has obviously acquired the old MCC tooling. The model is not perfect, but it is, nevertheless, an impressive piece. 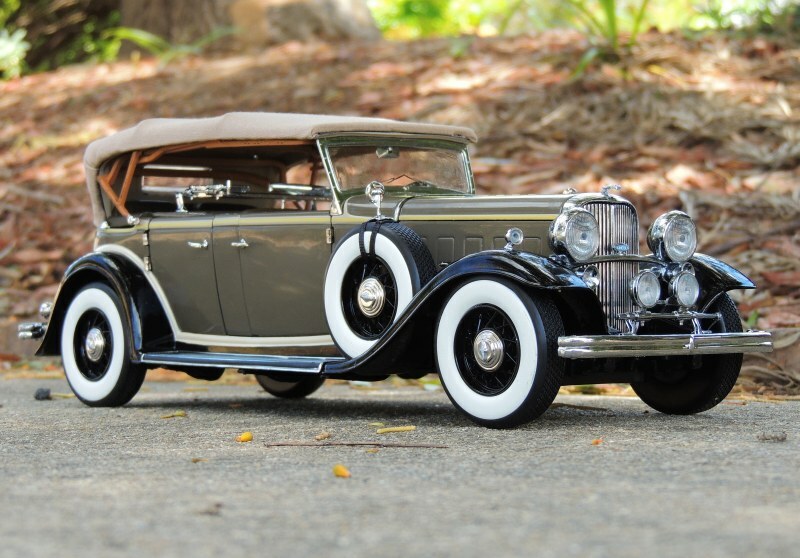 There is an old Ricko ’31 Lincoln KB in 1:18, but this ’32 is a much nicer model. I wish someone would do one better, but in the meantime, I think this is a worthwhile classic. 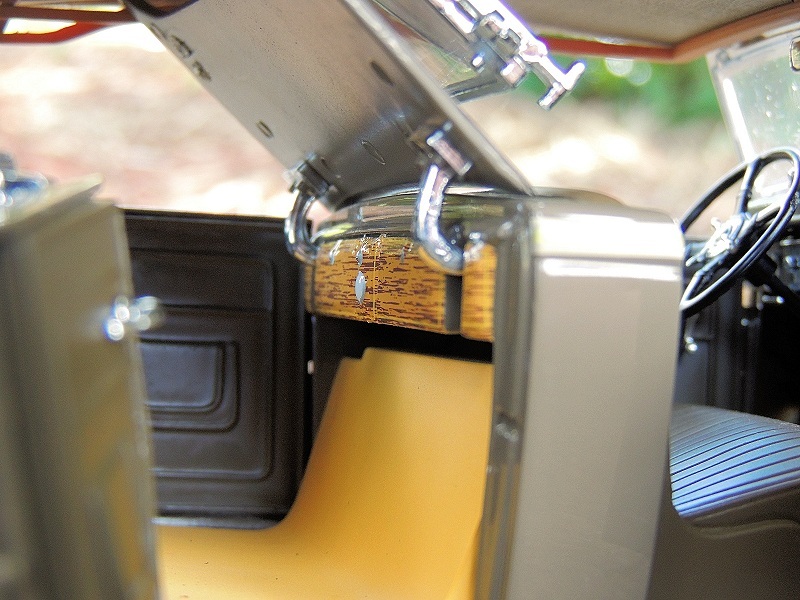 Its shelf presence isn’t hurt by the lack of fuzz on the interior floor. Yes indeed. The KB is, overall, a nice model which looks good and feels good. But those impressions are dramatically dampened by the cheapness of the folding cowl/bench and the carpet – the latter issue I have complained to Sun Star about, via the supplier. For the future, let’s hope that Sun Star realizes the basic truth of what’s in the inside affects everything else. I have the 31 Ricko V8 model in blue, its a nice piece but the MCC 32 V12 is much better. i have the top up version in the brownish color(not sure if its the same as this, MCC paint looks deeper? ), and a blue top up version on the way. I was hoping to pick up a sun star version before i bought my MCC, but with that price tag and ok detailing I went with the original. Amazing review and pictures. thanks for sharing. A number of ‘aftermarket’ hobby suppliers sell a solution to problems such as this. Search ‘Ken’s Kustom Fuzzi-fur’. Easy to apply and inexpensive in a range of colours. 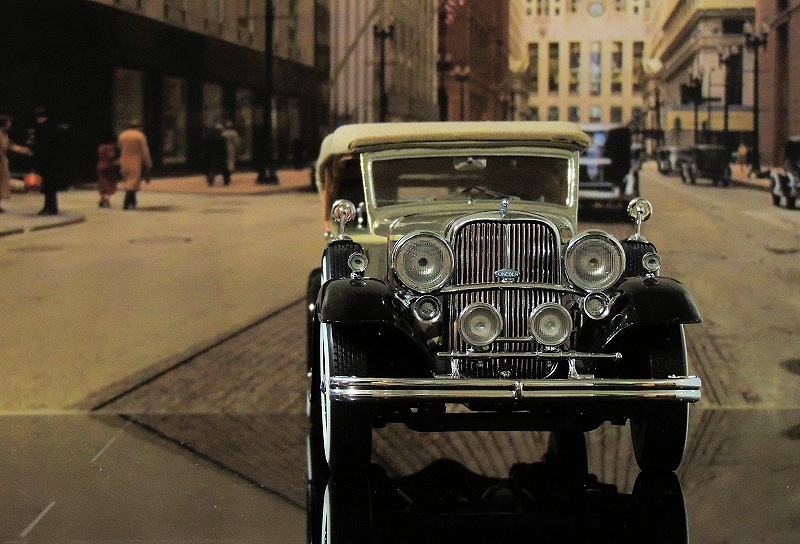 There is a 1931 Lincoln Dual Cowl Phaeton in the Pre-Code movie “Hot Saturday”, starring Cary Grant, Nancy Carroll, Randolph Scott. An awesome car. 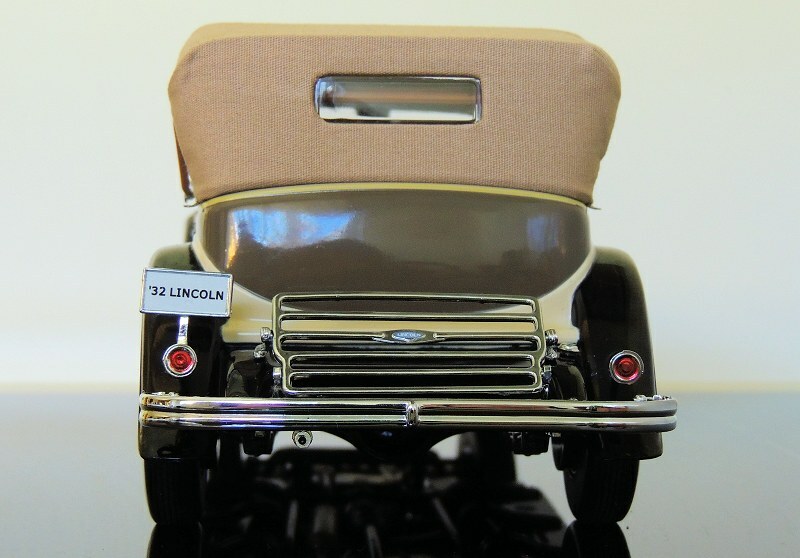 It was that film that prompted me to add the MCC Lincoln to my collection. Great and detailed review. Congratulations! 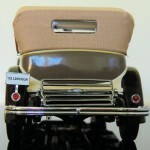 In spite of the minor niggles, it is a model worth adding to one’s collection. There is no filler cap on the radiator. !??? ?